They met on the Queen Mary going to London to study science and fell in love. Decades later, the story of Dr. David Borton and “Admiral” Harriet Borton — both physics professors — is like a greener, geekier “Titanic” but with a happy ending. As befitting a first-run cargo ship, the “Solar Sal” is spartan in its accommodations but not barbaric. “It’s the entire reason for the trip,” Borton said. Unfortunately, during the rainy pick-up on Wednesday, one of the bales of boxes fell into the water and went back on shore instead of in the cargo hold. 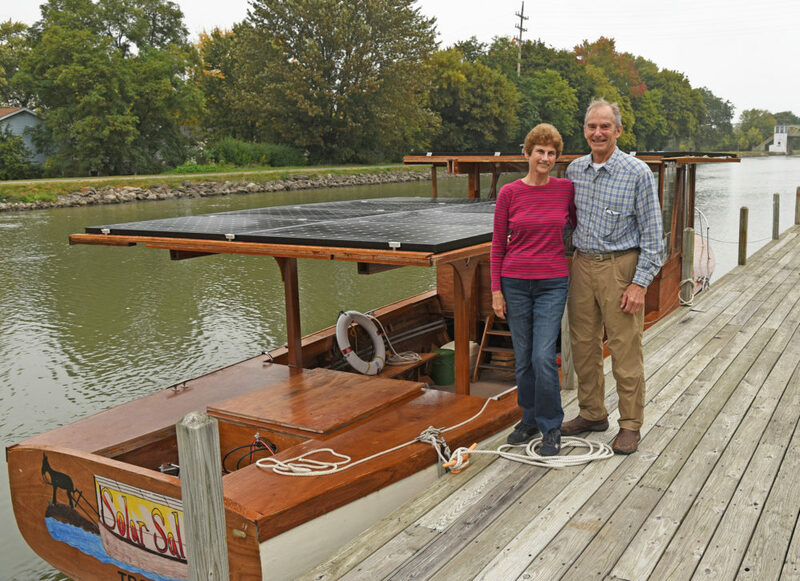 “Solar Sal” relies on a series of roof-mounted solar panel arrays to provide all the energy for operating the boat. “Why not?” David Borton asks. With good sunlight the boat can cruise at six or seven miles an hour. With overcast skies like Wednesday, the speed drops to about four and half miles an hour. Borton said as long as there’s light, the boat will move. “Every night we’ve found a nice place to stay,” Harriet said. 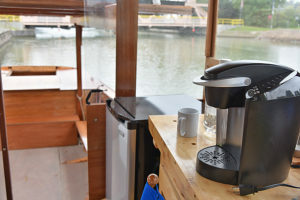 The Bortons would like to be back in Lockport to see several fiberglass replicas of the boat put to use here as tour boats — boats that don’t emit noxious fumes and loud sounds even at idle. 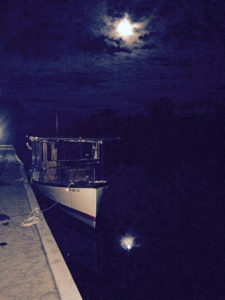 The lack of noxious fumes from the engine exhaust is particularly apparent when traversing the locks of the Erie Canal, he said. “Solar Sal” was built by David Borton and a small army of middle schoolers in the Schodack Central School District. Unfortunately, when the boat was set to be launched on the Hudson River, the middle schoolers couldn’t actually go on a voyage. 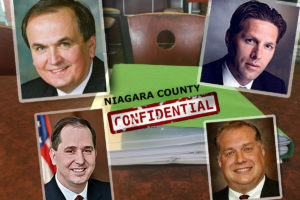 District lawyers and liability issues scuttled it. Borton is hoping to get the kids and their parents on another trip. “We’ve got a good boat here,” he said.